just cick the Pinterest button at the top of the post. Since changing the kinds of foods that we eat last year, homemade microwave popcorn has become a favorite snack at our house. I never realized how the amount of additives added to foods that I previously thought were healthy like microwave popcorn. 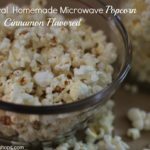 After an afternoon of testing out different ways to make homemade popcorn I came up with a Kettle and Cinnamon Pop Corn recipe that my little ones absolutely loved. There are so many ways you can change up this recipe, but the recipes included below are our favorites. I’d love to hear your ideas! Place 1/4 cup kernels in a brown paper bag, fold down once and tape down. Place in microwave for 2-3 minutes, remove when popping slows to 5 seconds between pops. Season with spray butter and salt. 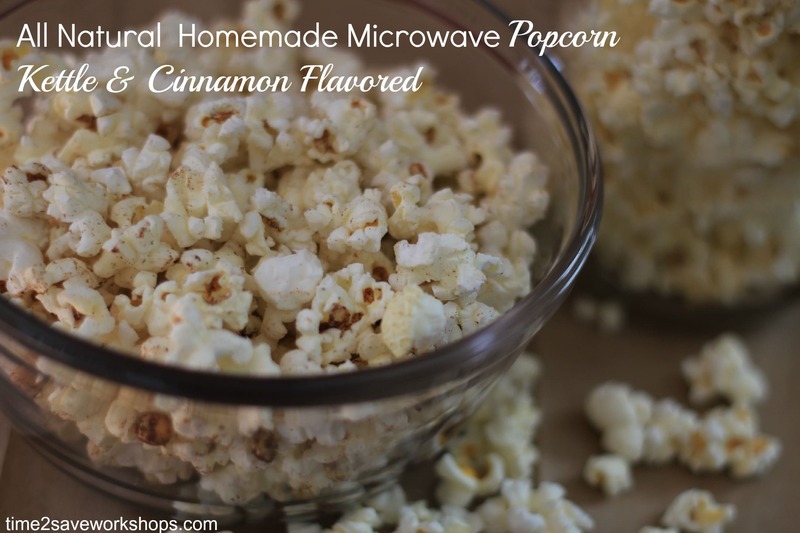 See directions below how to make Kettle and Cinnamon Popcorn. I want to say a very big Thank you, for you, creating all these wonderful recipes, I have just found your site, and I am in a great hurry to try your recipes on my Keto journey..
Sure! So glad you have enjoyed my recipes.